Know Your Customer regulations have been in place since the mid-1950s. However, in recent years, governments around the world have become much more stringent enforcing the regulations. The crackdown has had a significant impact on both financial institutions and the consumers they serve. Continue reading to learn more about what KYC regulations are and how they could impact your business. According to Investopedia, KYC “ensures investment advisors know detailed information about their clients’ risk tolerance, investment knowledge, and financial position.” KYC regulations help businesses ensure that the clients with who they are dealing are legitimate and do not wish to engage in anti-laundering schemes or other illegal services. The laws also allow financial institutions to determine what they can and cannot include in their clients’ portfolio. Although “clients” or “customers” can refer to a single individual, this is not necessarily a requirement. 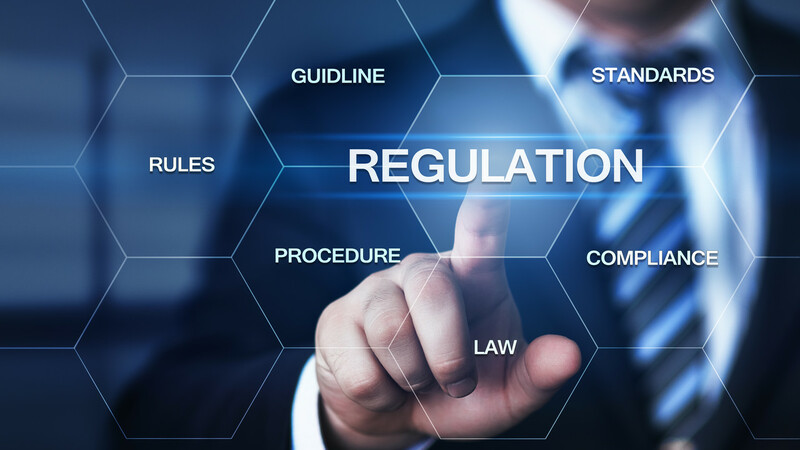 KYC regulations apply to anyone with whom a financial institution works, including other businesses. By verifying the identity of clients, financial institutions can then assess any risks associated with entering into business with the customer. What Are The Primary Regulations Currently In Place? The second of these new laws was the General Data Protection Regulation. These regulations were passed in 2016 and put in place about two years later. The rules impact all European organizations. The EU adopted these regulations to protect citizen’s data and change how financial institutions and businesses approach data privacy. Companies existing outside the EU but offering services within the countries are required to abide by these regulations too. Because the GDPR regulates what type of information companies can store and the length of time in which they can save it, they’ve had to revolutionize their KYC processes. One of the most significant problems with KYC is long turnaround times, as it can sometimes take months for companies to finish looking up a customer’s information. Consider information provided by Thomson Reuters in 2017, in which they found that the onboarding time for a customer increased by more than 20 percent in 2016. At that time, financial institutions took roughly 25 days to verify and approve business with a new customer. At the time, the survey predicted that customer onboarding times would increase by 18 percent in 2017 and would continue to do so in the future. As onboarding times increase, so too do customer frustrations. Many customers can’t understand why it takes so long for a financial institution to process their information or why these institutions need to hold their data for such an extended period. The Thomson Reuters article also mentioned the fact that 12 percent of customers who changed banks indicated that their sole reason for doing so was KYC issues. This also causes problems when the time when financial institutions cannot meet verification needs in time. For instance, consider international forex trading that now finds itself subject to two-way KYC regulations. These verifications need to occur in real-time. Institutions don’t have the luxury of taking three to four weeks to verify sensitive information and data. Moving forward, companies will need to get more creative in how they verify information and meet KYC regulations. Fortunately, it appears that new technology is already allowing them to do so. For instance, smartphone cameras now come with dual lenses. While this enables users to take gorgeous photos in portrait mode, it also provides instant ID verification, because the lenses can scan holographic images. Imagine a world where you can walk into your bank, hand them your ID, and verify yourself instantly. This is the way technology is headed, all thanks to rigorous KYC regulations put in place by international governments. It will be interesting to monitor in the coming years how verification technology will grow with the needs of financial institutions.